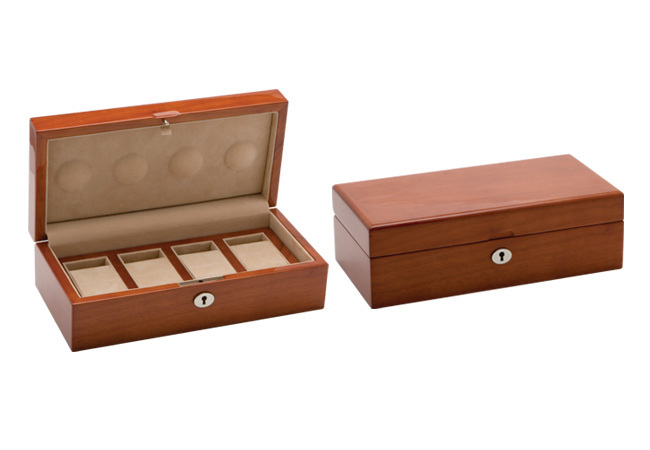 Our collector cases are handcrafted from oak and coated and recoated seven times with polyurethane, a process necessary to create the superb mirror finish associated with grand pianos. The interior is made of fine soft silsuede a product known for its plushness. These cases are elegantly designed and are highly rated by jewellers and collectors around the world. Packaged in a white two piece gift box. Price is the recommended retail.